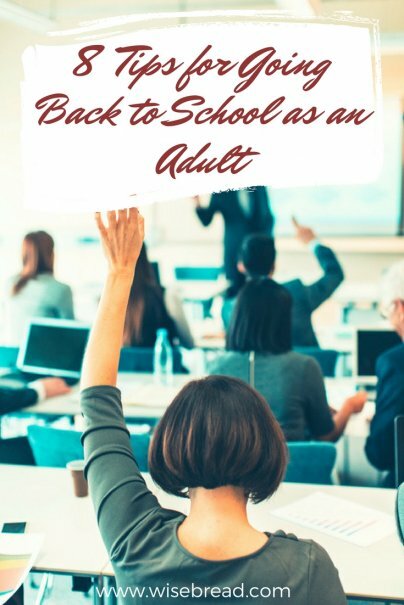 Whether you have never been to college, have some college credits from many years ago, or simply need to retool your education for a career change, there is much to be gained from going back to school. However, adult learners face a lot of risk factors that lead to dropping out before finishing a degree; things such as family obligations, financial shortcomings, and a tendency to attend school part time. With college costs steadily growing, the stakes are high; attending school without finishing a degree program could mean dealing with a mountain of debt and no job to help pay it off. Before diving into a degree or certificate program, do your homework to give yourself the best chance of success as an adult learner. One challenge adult learners face is feeling like they don't fit in with the much younger students on campus. Some find that the counseling services the school offers do not make sense for their situation in life. To avoid this problem, seek out a school that actively recruits older students. LendEdu ranks the 25 best colleges for adult learners, taking into account factors such as on-campus child care, weekend classes and flexibility, and affordability. Its most recent list gives the top-ranking position to Delaware's Wilmington University, a private college that offers a wide range of professional certificate programs in addition to degrees. Another way the best schools accommodate nontraditional students is by accepting credits from other institutions. If you have earned prior credits from an educational institution, get an idea of how many would be accepted toward your new degree. Figure this out before enrolling, because the more credits that will transfer, the faster and cheaper your degree will be. Some 18-year-olds are OK with spending a couple of years in college finding themselves before focusing on a major that will lead to a specific career. Adults, not so much. A recent report from the University of Texas showed that the choice of academic major was the biggest factor in determining how much graduates from UT earned. In fact, your major appears to matter more than how good a school you get into, the report says. "[G]raduates who majored in architecture and engineering at a UT System open-access college have median earnings that are higher than 61 percent of all UT System graduates at selective colleges," the report reads. After architecture and engineering, the highest earning major categories for UT students were computers, statistics, and mathematics; followed by health, then business. The lowest-earning majors were in the arts, psychology and social work, and biology and life sciences. Of course, you can't just blindly choose a major based on how much money graduates make. It also has to be a good match for you. Take an online assessment or work with a career consultant to figure out what field best matches your strengths. Going to school around a busy schedule of work and family makes online college a popular choice. You can often watch lectures on your own schedule and avoid wasting time traveling to and from a campus. You can try many online courses for free — usually without credit — to see if online learning works for you. Check the courses listed at edX, for example. A growing program type that appeals to many nontraditional students is the hybrid model, which combines online lectures with some classroom time for discussion. For instance, Northwestern University offers hybrid graduate programs aimed at professionals, which combines online lectures with a limited number of on-campus seminars. If you need to take the LSAT for law school, the GRE for graduate school, the GMAT for business school, or even the SAT, sit for it well in advance of school application deadlines. This takes a bit of the pressure off; when you know you have time to retake the test if necessary, you can relax and do your best. It could be that many adult learners end up dropping out because they mistakenly assumed they would somehow "find time" for coursework. Even if you start slow, going to school is like a part-time job, and you must allocate the hours to make it happen. Finding the hours might mean cutting back on work, eliminating a pleasurable activity such as watching TV, or dropping out of organized activities such as a sports team. One activity you cannot borrow hours from without negative consequences is sleep. It's also important to make sure family members, friends, and even coworkers and bosses know and respect that you need time and space to complete your coursework. You may have to say no when someone asks you to work overtime or pass up on volunteering for organizations you may have helped in the past. Research shows that when we work with interruptions, not only does it take time to get back on task, but we feel more stressed and frustrated. To avoid wanting to quit, it's important to carve out space for yourself to work uninterrupted. Build child care costs into your college budget if necessary, and make sure you have a quiet place to work away from the bustle of household life.